Marriott is giving ample notice once again for the latest MegaBonus promotion. You have well over two weeks to plan out your Marriott stays to get the bonuses that are assigned to you. Just like all other incarnations of this offer each Marriott Rewards member may get a different offer and for some it is well worth it to go after the bonus while for others it may not be. I personally received the 2,000 points on every stay starting with 2nd stay. I registered to find out which offer I got and also as I always preach that you should register for every offer even if you don't think you'll use it just in case your travel plans change and you end up using Marriott over the fall and winter months! 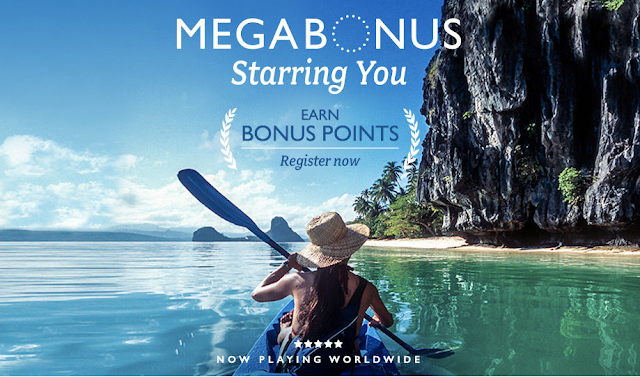 2,000 bonus points on every paid stay, starting with your second stay, up to up to 20,000 bonus points (maxes out after 11 stays, with no bonus on the first stay).